A heat pump is a device that uses a small amount of energy to move heat from one location to another. A heat pump pulls air out of the air or the ground to heat a home or office building. It can also be switched into reverse to cool a home or building. Heat pumps do the work of both a furnace and an air conditioner. They are very efficient because they simply transfer heat rather than burning fuel to create it. They are best used for moderate temperatures and are very efficient in warm to hot climates. In addition to residential HVAC maintenace, regular heat pump maintenance is very important and can help extend the life of your unit. It is important to keep the system free of dirt by keeping the filter clean and by removing any obstacles to the flow of air. Small problems that are not addressed in a timely manner can lead to compressor problems later. Heat pumps are more technical in nature so when a heat pump malfunctions, it is necessary to call a professional service person. If your heat pump is unable to be repaired or if you would like to replace your unit with a more efficient unit, a dual-fuel heat pump may be the right solution. A dual-fuel heat pump is an electric heat pump and gas furnace all in one. The heat pump heats your home until temperatures drop below freezing and then the gas furnace kicks in. This allows you to heat your home in the most efficient manner depending on the temperature outside. 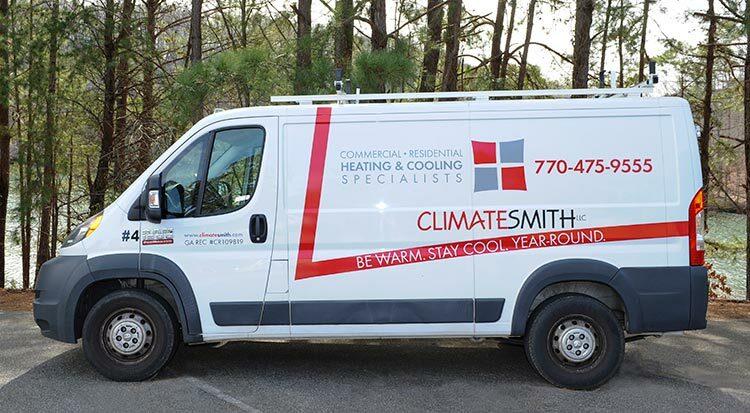 You can trust the professionals at Climatesmith to handle all HVAC services including maintenance, repairs as well as installations of heat pumps. We are a customer-focused heating and air conditioning company located in Alpharetta, Georgia. We have been servicing, repairing and installing heat pumps for clients in north Georgia for many years. Schedule Your Service Or Installation Today! If you are in need of maintenance or repairs to your current heat pump, or if you would like to discuss a more energy efficient unit such as a dual-fuel heat pump, please contact our Heat Pump Repair Experts. We look forward to working with you.